If you are interested in tutoring for us we would like to hear from you. 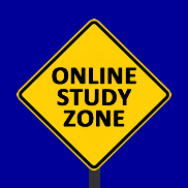 Online distance learning Tutors need to be helpful and encouraging. Tutors who “smile” with her/his words can make all the difference on any given day when it comes to student morale. Tutors need to be patient with their students. A caring tutor will contact a student either by email or phone and spend time with the student, addressing any issues they might have with the course material if needed. Taking time to explain questions and ensuring the student has an understanding of the lesson before moving onto the next topic, is essential, if the student is to have a rewarding learning experience. Tutors can reside in any part of the world but must have an internet connection. All you need is a PC or Mac, a fast internet connection and for some courses a working headset with microphone. Have at least basic Microsoft knowledge in order to set up your connection and hardware. Most of the work is casual, with you being paid per assignment marked. The amount of work is often small at first, but in some cases may build to many hours of work every week. Sometimes, tutoring for us may lead to additional work at other institutions. We expect Tutors to follow the academic procedures of ADL, including our marking assignments policy, and returning assignments within the stated period of time as detailed in the Tutors contract. We require tutors to check their email and any other communication messages (e.g. phone message banks, etc.,) on a daily basis, and to respond promptly to any student work and student inquiries within the time frame as laid down by ADL. Minimum requirements for a tutor is 3 years of full-time study plus 5 years of industry experience. However, there are exceptions to this requirement where industry experience outweighs qualifications. Expect a good knowledge of the subject you are marking. While many tutors are happy to mark papers, there may be opportunities for additional work (e.g. 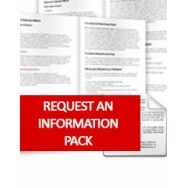 Marketing or student support) to tutoring. Most tutoring work can be done by working from home, with a fair degree of flexibility. 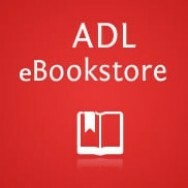 ADL pays a flat rate per assignment for marking. Details of rates of pay are available from the Registrar. The number of assignments to mark generally depends upon the level of enrolments, and the number of assignments received to be marked each week. This quantity may be relatively small at first but can increase over time. There is no obligation for you to accept any offer of work made to you.